Thank you for introducing me to cork. Tell me more. Cork comes from the bark of an oak tree – the Cork Oak. It’s the only tree from which you can remove all the bark without harming the tree. Cork Oaks grow in cork forests in the Mediterranean in seven million acres in seven different countries – Portugal, Spain, France, Italy, Morocco, Tunisia and Algeria. There are 13,000 species of plants, animals and insects in the cork forest including a number of endangered species that live nowhere else on earth. Two of the most endangered are the Iberian Eagle and the world’s most endangered feline – the Iberian Lynx. There are only 115 of these lynxes left on our planet and all of them live in the cork forest. Are the cork oak trees damaged during harvest? No. 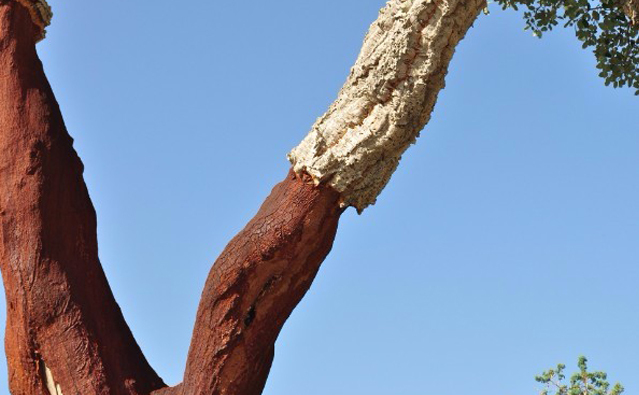 The cork bark grows back and is reharvested every nine years for 200 to 300 years. The trees are never cut down and there is no cork shortage. They’re protected by national law in all nine countries. Are the cork forests endangered? No. However, wine companies are moving to cheaper alternatives and landowners can no longer afford to sell cork and maintain the forests. The more cork we buy, the more the land can maintain itself and not be sold to developers. Cork is a natural, sustainable, PETA-approved, eco-friendly fabric. Cork leather is as strong as its animal counterpart but vegan friendly. It is water resistant, has natural anti-mildew properties and can be wiped clean with a soft cloth. I care about our environment. Why is cork a good thing? The cork industry is a 0% waste industry and uses every single piece of the bark. After wine bottle corks are punched out of the bark, that piece of bark is then ground up and made into champagne corks and floors and fabrics and gaskets, and cork boards and thousands of other products. When they grind the cork it creates a dust. That dust is vacuumed out of the air and packed into containers and compressed into biomass. The factories burn that biomass and provide 60% of their own energy to run their plants. This is the most sustainable and environmentally friendly practice on the planet when it comes to forestry and manufacturing. The harvested cork regrows over the next nine years. 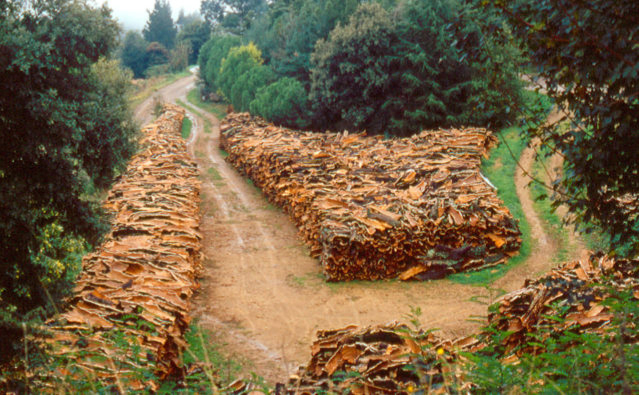 Cork is a 0% waste industry and uses every piece of the bark.